In a tomb near Siirt in southeast Turkey, archaeologists believe they may have just found the oldest gaming tokens ever after dating them back to a whopping 5,000 years young. 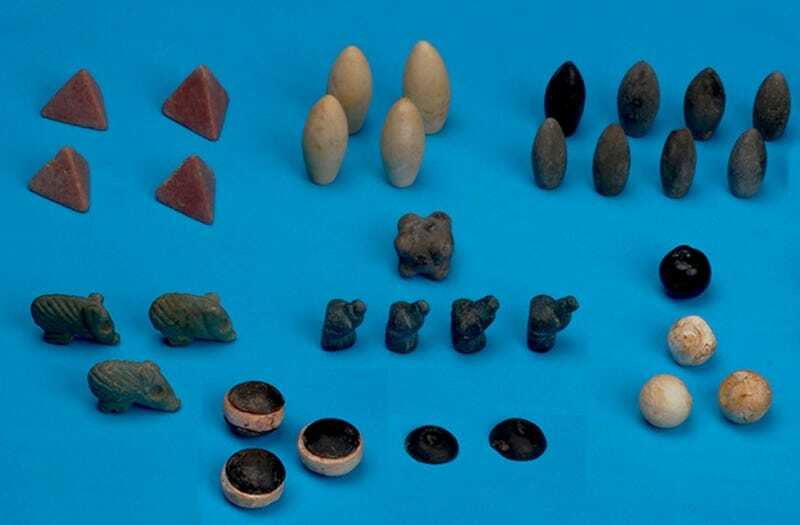 [Previous, similar pieces] were found as isolated, single objects, therefore they were believed to be counting stones. On the contrary, our gaming pieces were found all together in the same cluster. It's a unique finding, a rather complete set of a chess like game. We are puzzling over its strategy. According to distribution, shape and numbers of the stone pieces, it appears that the game is based on the number 4. What the find does tell us, though, is that board games did in fact likely originate in the Fertile Crescent over 5,000 years ago as the gaming stones were found in one of Başur Höyük's nine graves, a site that dates back to 7,000 BC and was located on a trade route between Mesopotamia and East Anatolia. And its location on the route adds further credence to the theory that there was "a coexistence of traditions and continuity of relationships between the settlements."